Try as they might, sometimes lines are positioned where they can wear coamings. 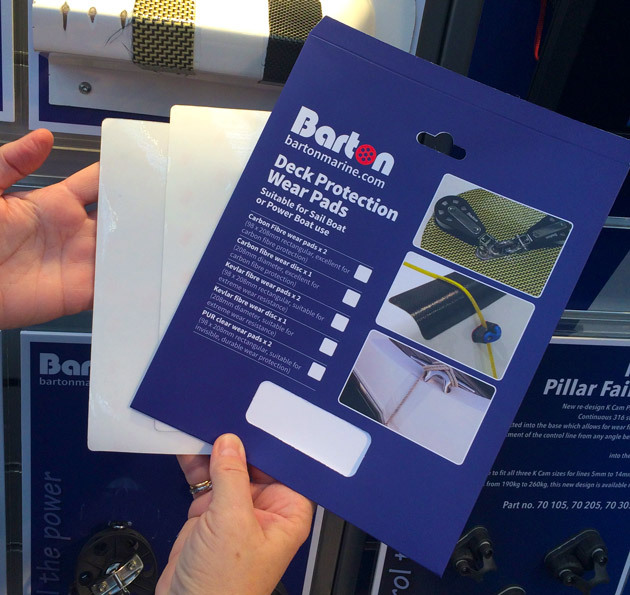 These carbon, Kevlar and now transparent polyurethane hard-wearing pads sticks onto your coaming or any other vulnerable area with 3M adhesive to protect the gelcoat. No more channels of shame! £20.34 for two transparent pads of 10x20cm.